Anyway my question is does anyone have a radish chutney, relish recipe that does not use weird and wonderful ingredients - I live in Latvia and not everything is available. I thought it would be a nice way of using up radishes before they bolt on me. And too many radishes in one week is not great in my mind. sounds like it looks pretty, too. Not sure if this is a real chutney, or even if it keeps as well as a regular chutney. They look good. I like the look of that Sophie Grigson one especially. MOS I found in the end it was better to look up radish relish this site threw up some interesting ideas . I must plant some more radishes though as these are likely to go over soon in this heat. One suggestion was to let the radishes go to seed and eat the pods, which I have done before and they are okay and also to collect the seeds for next year. It worked very well, I have to say. I did use a red grapefruit in stead of an orange " would you believe it our local supermarket didn't have any in at all and I added some peas as I didn't collect enough radishes for the pan but it was still nice and tasty. Great, Joanna - any photos? Ooh never thought of that . Still have half a grapefruit and lemon to make some more and when it stops raining I will collect some more radishes. Don't worry about the rain on my behalf though it was badly needed as it has been very hot and dry and is going to be even hotter for the next 10 days. Great, Joanna " any photos? 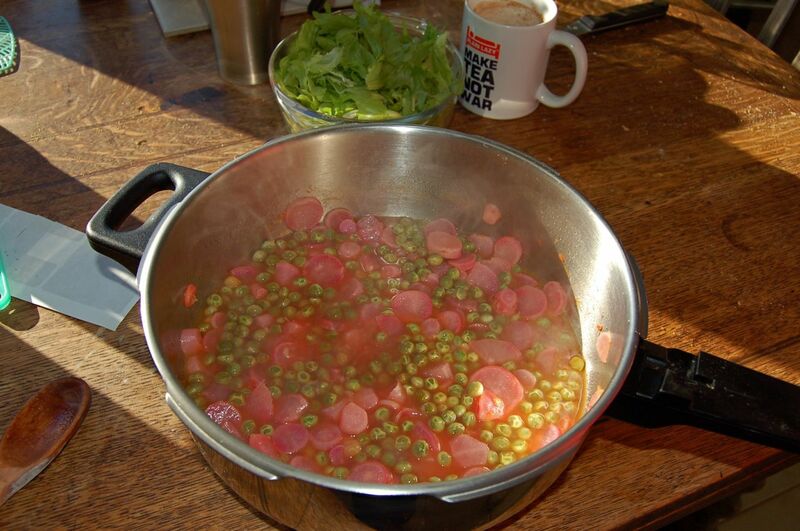 Great pic, Joanna, are the radishes pink all the way through, or only after making it? Ha ha - now we have a picture - unlike Sophie Grigson !!!!! !